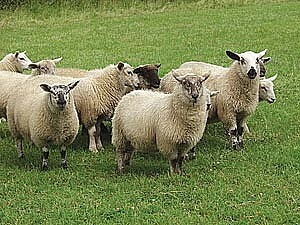 Anglesey has always been renowned for its superb Spring Lamb. We pride ourselves on the quality of our Spring lamb which, again graze naturally on our lush pastures, to produce lamb from mid April onwards. The farm only used to have lamb available until September/October, but since starting Beef Direct we have had to change; we now have a flock of pedigree Black Welsh Mountain ewes. These produce the lamb that we sell from September to April. 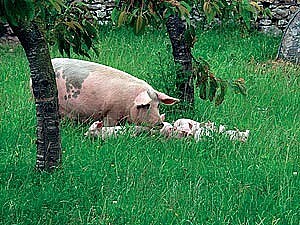 Again, this breed is well known for the ‘eating’ quality of its meat. Due to popular demand, we now sell our own mutton. This meat comes from ewes that are between two to five years old and is hung for a longer period than the lamb. Mutton has a stronger flavour than lamb and requires to be cooked more slowly and at a slightly lower temperature. We make our own sausages using natural casings and they make a tasty sausage casserole! We are able to source free range and fresh chicken.